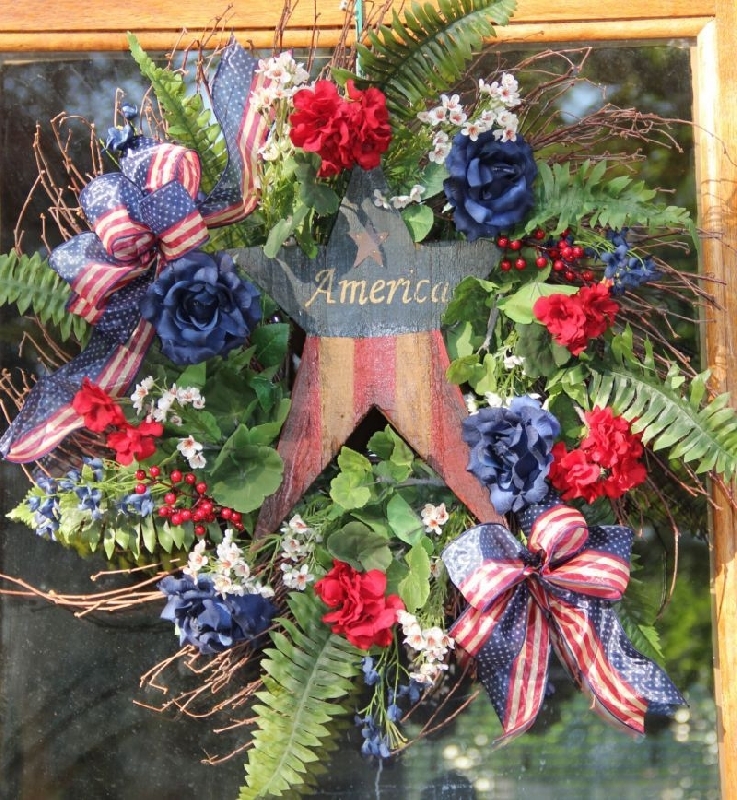 Celebrate the season with our 'America Wreath'. 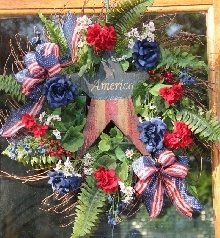 This full twig based wreath offers a wood flag painted star with 'America' painted across the center as the focal point, surrounded by blue roses, red geraniums, fern, blue and cream filler flowers, red berries, greenery, and sheer flag print bows. 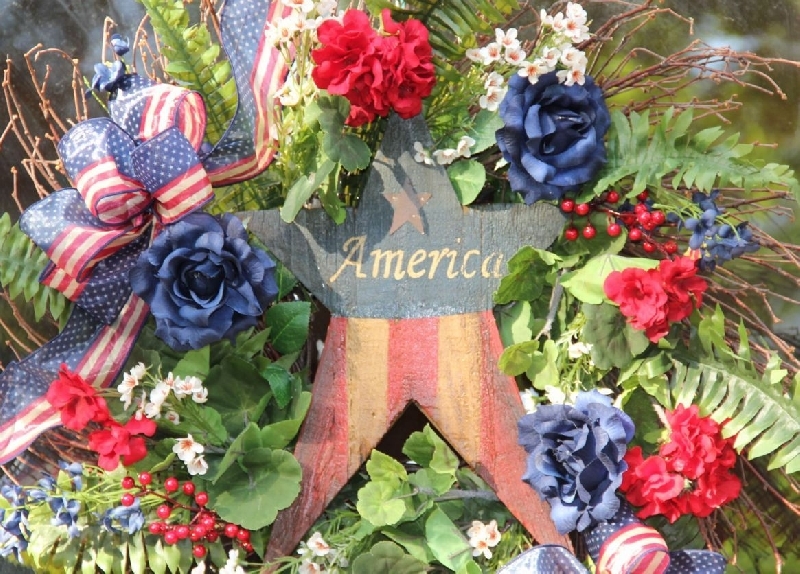 24" in diameter, 7" in depth.